All 3 games. All DLC. No multiplayer. Video series with commentary with Ken Levine. Lame that they dumped the multiplayer (a trend I don't like) but... what a solid collection. The moment that hits $20 I'll be all over it. And if you already own BioShock, BioShock 2, and/or Minerva’s Den on Steam, you will be able to upgrade to the remastered version of the respective title(s) for free after release. It’s a circus of values! I never care about the multiplayer anyway. Will buy it. Yeah, this is great. I just played the first bioshock a few months ago and it's graphics hold up surprisingly well. I've been meaning to get around to playing 2 since then, but I'll wait until I can upgrade. Never played any of the games so it looks like I will have to pick this up. Any recommendations on which platform I should get it for. Sweet, time to redeem another bundle. I'd rather have a new Bioshock game, but I'll take what I can get. The multiplayer was poop anyway. I'm in since I never played the originals even though I have one or two on 360. The image of this woman has always made me want to play Infinite. One of my favorite series ever. I just replayed through the whole series and all the single player DLC last year so I'll probably hold off on this but glad to see it come out. Bioshock 2 is criminally underrated so hopefully this collection will get more people to give it a shot. Seemed like some folks here didn't care much for Infinite, but I absolutely loved it. 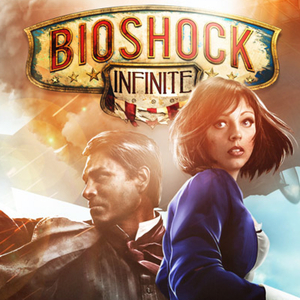 You can buy Bioshock, Bioshock 2 and Ultimate bundled together for $10.51 on Steam right now. Then upgrade for free in September. Not sure if that includes DLC. I am very happy with this...I love all three games...and Minerva's den is still the best dlc ever released.. I'll also pick it up on a sale. I just played through Infinite and all of the DLC for the first time earlier this year, so I'm in no hurry to play again. The first Bioshock on the other hand, I've been itching to replay for years now. I can't believe it's been almost 9 years now since I've played it. Can Infinite be played out of order? Absolutely. It's a self-contained story and only thematically related to the other two games. I think part of it was it wasn't as creepy and claustrophobic as I and II. But yeah, It's great game. Contrary, I'd say it's nice to play the first game prior to Infinite. Especially if you play the Infinite DLC. You don't have to, but it adds a little something. There were some really small bits of foreshadowing to infinite found in Bioshock 1. It's really mind blowing when you realize Levine had the whole story planned out that early in the series.